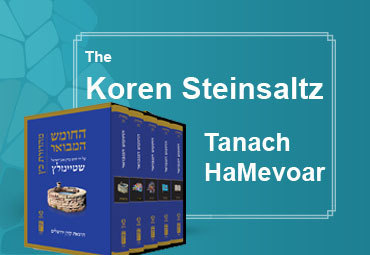 The Steinsaltz Tanakh is a work of monumental and prodigious brilliance that took years to complete. Exhibition launched in Moscow honoring Israel Prize laureate Rabbi Adin Steinsaltz, marking 30 yrs since opening of first USSR yeshiva. The new Steinsaltz Center Website in Russian! We are happy to announce the new Steinsaltz Center Website in Russian. Click here to the Website! After completing the preparations and drafting work with our partners: El Ami, Sulamot and Steinsaltz Center, we are pleased to announce the launch of 3 pilots in 12 schools. The Steinsaltz Yeshiva Podcasts, in English & Hebrew! New! "The Thirteen Petalled Rose” - Rabbi Steinsaltz's monumental book, read in English. "Preparation for the Chagim” with the Steinsaltz Yeshiva rabbis. 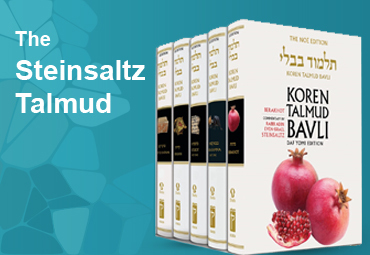 talks about halacha, gemara, tradition, chasidut and Avodat Hashem, preparing you towards the Jewish holidays. In Hebrew. "Talks About The Parsha” Rabbi Steinsaltz's talks about the weekly parsha.In Hebrew. To listen search for "ישיבת תקוע” where you get your podcasts. The Steinsaltz Tehillim: Understanding the Book of Psalms A review of a translation with commentary that makes the ancient and immortal biblical text easy to read and understand. Read the majestic Steinsaltz Megillat Esther, generously distributed to every Jerusalem Post subscriber by the Maimonidean "Zisman Tuviah” – in his own act of identity, solidarity, and community-building. The legendary Rabbi Adin Even-Israel Steinsaltz teaches that caring about your "people or family, even when it does not accord with the interests of the kingdom, would not be considered a betrayal, but rather a respectable, appropriate reaction.” Indeed, Ahasuerus validates Esther’s loyalty by saving her life. Jerusalem Mayor Moshe Lion met with Steinsaltz Center CEO Meni EvenIsrael last week. They discussed the Center's work, including a new digitization program that will make all of Rabbi Adin Even-Israel Steinsaltz’s writings accessible online! "But how do you know your own soul? Interact with it? Can you call it forth? While male commentators and scholars tend to invite attention and accolades, numerous brilliant women are not only contributing to projects to enhance Jewish learning but are leading the charge as well. Many of these women work for the Steinsaltz Center. In this interview, Yehudit Shabta, discusses the role that she and other female Steinsaltz scholars play in strengthening Jewish connectivity and pushing Jewish education forward. Rabbi Meni Even-Israel, the Executive Director of the Steinsaltz Center, highlights the importance of Bible study, explaining that the exploration of the written word allows us to become better individuals and a more virtuous society – challenging us to ask tough questions about our beliefs, discover what makes us tick, and reclaim our morality. Daf Yomi: Starting a new Tractate! Women take over top Torah publishing positions, actively moving Jewish learning forward. Tractate Menaĥot discusses the halakhot of various offerings, specifically those that are brought from grain, i.e., wheat or barley, as well as the libations of oil and wine sacrificed in the Temple. 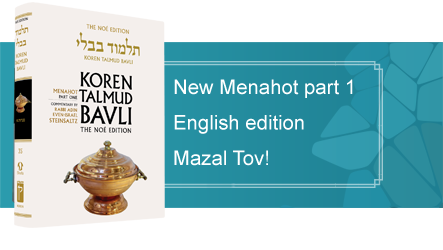 Menaĥot therefore complements tractate Zevaĥim, which examines the halakhot of offerings brought from livestock or birds, and there are many parallels between the two tractates. Neglected Yet Unforgettable- Seven Images in the Shadow of the Alhambra Decree. implementation in the modern world. developments from Maimonides' time to our own day and age. "The Thirteen Petalled Rose” - Rabbi Steinsaltz's monumental book, read in English.